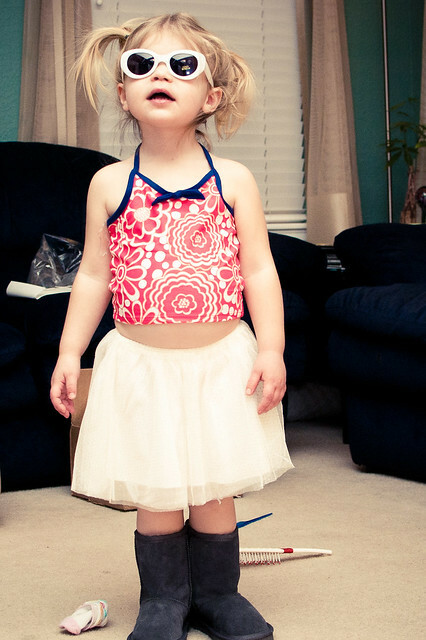 Rhiannon did a little shopping for some clothes for Brooklynn. Some things like boots and skirts are items she can wear now. Other things like swimsuits are items that were on clearance that she can grow into. Everything came in one box. Brooklynn likes to open boxes and put things on. I used to roll my eyes when I would see kids in outfits they obviously picked out themselves out in public, thinking what kind of horrible parent lets their kid out dressed like that. Karma. And picking your battles.